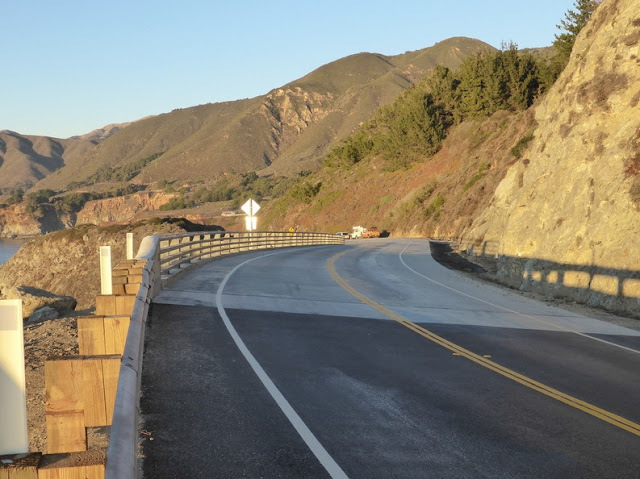 The headlands and cliffs around Big Sur have eroded so rapidly that sections of the Pacific Coast Highway had to be converted into bridges. 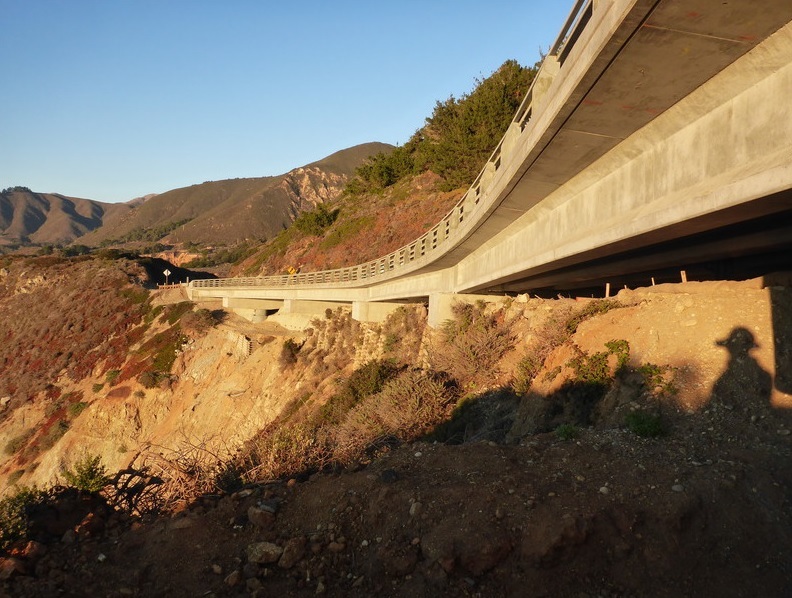 About 600 ft of roadway just south of the Bixby Creek Bridge was replaced in 2014 with the Rocky Creek Viaduct. This project includes a soldier pile wall with timber lagging placed behind the existing soil nail wall. 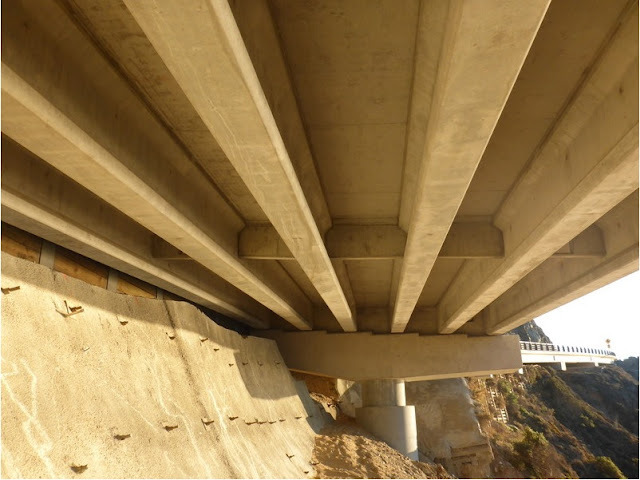 Large diameter shafts with steel casings support hammerhead bent caps and a precast girder superstructure. The bottom of the shafts are socketed into rock. As the cliff continues to erode traffic will be unaffected on the bridge. A similar project (the Cow Cliffs Viaduct) is being planned just north of the Big Creek Bridge. As erosion continues to remove the ground under the roadway much of the Pacific Coast Highway in Big Sur could eventually be supported by a continuous viaduct.